The Rama 9 – Ratchada area is the fastest growing business district in Bangkok, holding its big title as Bangkok’s new CBD. 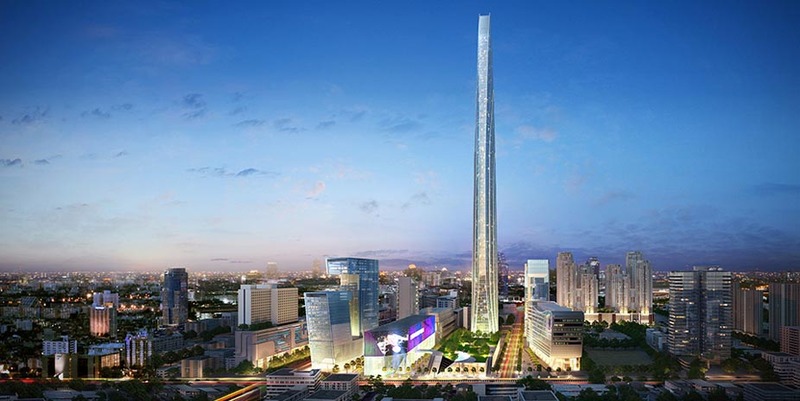 The highly anticipated ‘Grand Rama 9 Tower’ or the ‘Super Tower’ will become ASEAN’s tallest High-Rise building, with an exceptional height of 615 m and 126 office floors that is due to open up in 2021. Besides, the G Tower will also host Grade A offices with modern designs and eco-friendly greenspaces. 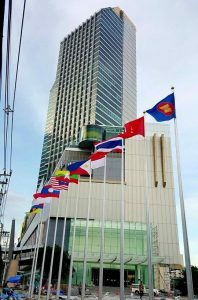 The relocation of the Stock Exchange of Thailand head office has attracted more interests into the area as well as the Unilever and the AIA Capital Center. 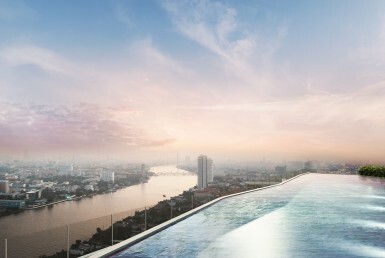 These groundbreaking developments of the Rama 9 – Ratchada area has become Bangkok’s most anticipated business district. The location of Rama 9-Ratchada is bounded by Asoke Sukhumvit and Phetchaburi Road. With Asoke being one of the leading CBD center of Bangkok, the Rama 9 – Ratchada area has gained influences from the boom that are dispersed from the Sukhumvit zone. In terms of land price, investors and developers are more geared towards investing in the Rama 9 – Ratchada location, as it is more affordable when compared to areas like Asoke, Sukhumvit, Ploenchit, Silom and Sathorn. Therefore, Rama 9 – Ratchada is a more valuable choice with a higher investment return. This locale is surrounded by excellent transport links and roadways, enabling true convenience for travelling in and out of the heart of the city. 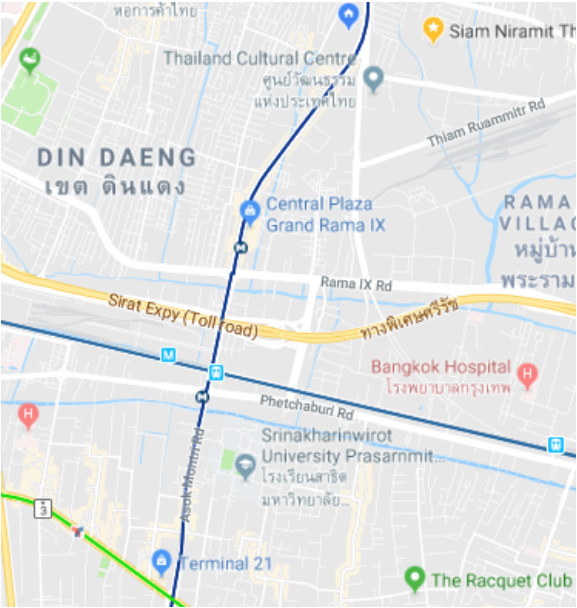 The Rama 9 – Ratchada zone is connected by the MRT Blue Line, starting from Phra Ram 9 station, Thailand Cultural Centre, Huai Khwang, Sutthisan to Ratchadaphisek station, all located within the Huai Khwang district. One station ahead of Phra Ram 9 station is the Phetchaburi station, Phetchaburi is linked to the Airport Rail Link (ARL) ‘Makkasan’, bringing passengers all the way to Suvarnabhumi International Airport. As for car travels, the Rama 9 – Ratchada road has much wider lanes when compared to Sukhumvit roads which are narrowed and heavily congested. It has a tunnel for vehicles to pass under which digests traffic in the area. The Sirat Expressway is also accessible through the Rama 9 road, which can lead you all the way to Suvarnabhumi International Airport. Besides, another development that is planned for the Rama 9- Ratchada area is the MRT Orange Line that will be cross-connected to the Cultural Center Station. This will enhance a better living for public transport users, bringing the flow of people from Bang Bamru and Bang Kapi into the area. 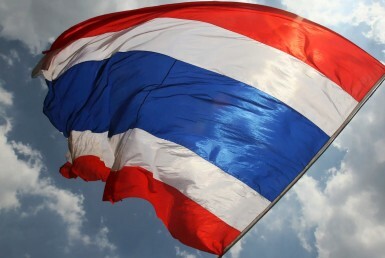 Rama 9 – Ratchada zone has now become even bigger and brighter. It is a bustling area of restaurants, cafe, markets, malls and nightlife. Central Plaza Grand Rama IX shopping complex is located right in front of the Phra Ram 9 MRT station with Fortune Town IT mall directly opposite, along with cinema and theatres further down the road in the Esplanade Complex. The new and upcoming activities are attracting more youth into the area. The famous ‘Ratchada Night Train Market’ and ‘Bounce’ at The Street Ratchada mall has turned the area into a leisure hang-out zone. 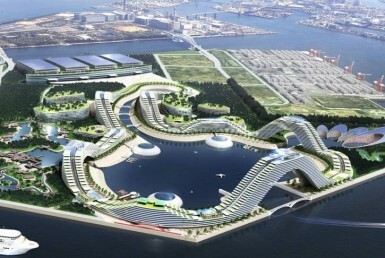 One of the biggest benefits that cannot be overlooked is the property investments in this zone. Many prominent real estate developers of Thailand have spotted lucrative opportunities on the Rama 9- Ratchada road, especially in terms of condominiums business development. This is mainly because of the affordability of the land. In collaboration with Angel Real Estate, Major Development Estate has launched presale of ‘Maestro 19’ low-rise Condominium on 19 Ratchadaphisek Road, Din Daeng. With the theme of a serene neighborhood lifestyle, Maestro 19 offers a lower density of living with 560 Units with 4 Residential Buildings (8 Storey + 1 Basement) 1 Facility Building: Club House (3 Storey). Besdies, it is only 650 meters from MRT Ratchadapisek Station, and is bound to have more future transportations such as the Yellow Line Monorail connecting Ladprao to Samrong and the Orange Line MRT linking Talingchan to Minburi. 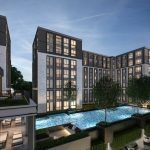 Another project on Ratchada road that can’t be missed is the ‘Metroluxe Ratchada Condominium’ project by Property Perfect on the 419 Ratchadaphisek Rd, Din Daeng. MetroLuxe Ratchada is a Low-Rise condominium, it is a resort-inspired living which is now ready to move in. 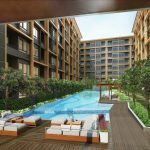 This condominium comprises of 4 buildings, with 8 floors and 535 units in total. It is 0.5km to Sutthisan and Huai Khwang MRT station and is 1.6km to The Street Ratchada lifestyle mall. Although the price of land is rising from B950 in the beginning of 2016, it still considered less costly than other major CBD areas in Bangkok. Rama 9 – Ratchada area is becoming a cultural hub, or more specifically, the center community for ASEAN countries. C ASEAN in the Cyber World Building is a ASEAN center for business, art and culture. Situated on the main road of Ratchada, it has a big vision for moving the ASEAN communities forward and making it stronger. In addition, the Chinese and Korean embassies as well as the China Cultural Center are located in the same vicinity. With a large majority of Chinese investors, the area of Rama 9 – Ratchada has become a new and friendly home for the Chinese population in Bangkok.